Seneca - Ballpoint pen with blue ink refill, pocket clip, gripper section and pointed top. 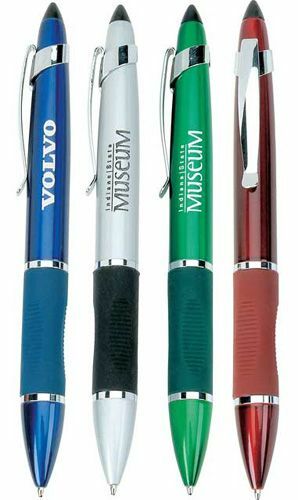 Ballpoint pen with pocket clip, ribbed gripper section and pointed top. The Seneca Metal Pen is available in four colors and has a blue ballpoint on one end and stylus on the opposite. Rubber grip. Perfect for a PDA. Tags: Seneca - Ballpoint pen with blue ink refill, pocket clip, gripper section and pointed top.